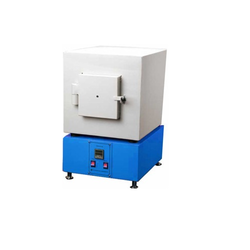 Leading Manufacturer of muffle furnace from Thane. With an objective to fulfill the diversified requirements of the patrons, we are engaged in manufacturing and supplying Muffle Furnace. Offered furnaces are used for fast heat-up and reduced energy consumption and are available in various specifications as well as in custom-built range. Along with this, our professionals make sure to follow the established norms and standards while manufacturing these furnaces. Also, our experts strictly examine these furnaces of different parameters of quality and then forward for the final dispatch.